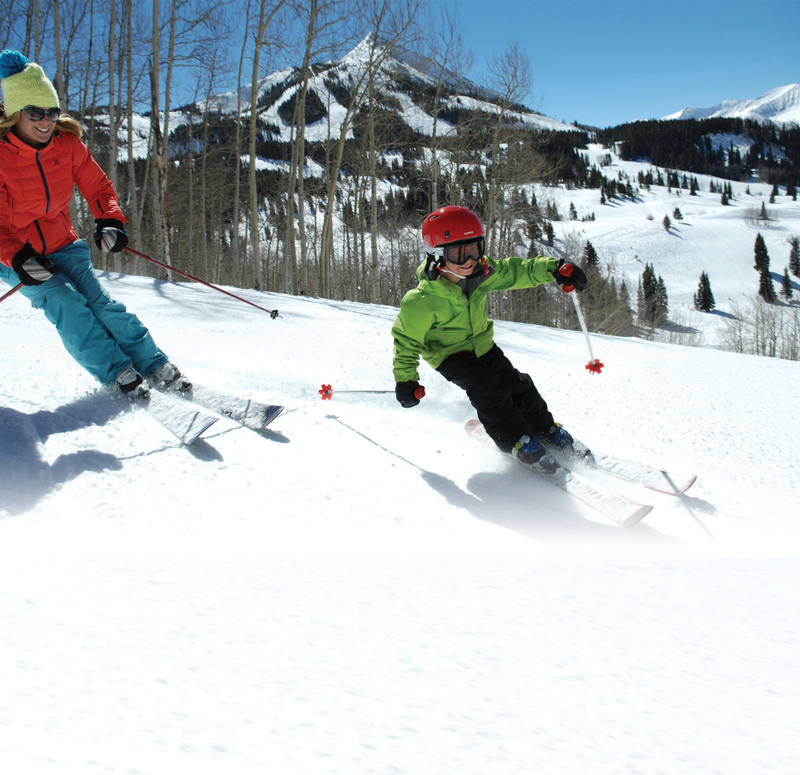 Colorado’s Crested Butte Mountain Resort’s Book Early, Save Big promotion gives bigger and better deals to those who start planning their ski vacation in the summer (photo by Tom Stillo) . With flowers blooming and warm sunshine beaming down, it is hard to imagine cool white snow and making turns on your skis in a few months. But Colorado’s Crested Butte Mountain Resort is sure giving you an incentive, with this year’s Book Early, Save Big promotion that gives bigger and better deals to those who start planning their ski vacation in the summer. Right now, the resort is giving 30% off lodging when guests book a minimum of four nights for the 2014-2015 winter season by August 15, 2014. The lodging discounts continue on a tiered system for the next two months; save 25% when lodging reservations are booked by September 15, 2014 and save 20% on or before October 15, 2014. What’s more, guests flying to the popular ski destination have the opportunity of nearly free airline tickets. The resort is providing airline credit of up to $400 per ticket when guests book lodging and airline tickets into the Gunnison-Crested Butte Regional Airport (GUC) by October 15. Restrictions and blackout dates apply for the airfare deal, but the discounts will not get any deeper for the 2014-2015 winter season. The airfare savings amount is based on the month you choose to visit Crested Butte and must be combined with lodging. The deals: Save $300 for January arrivals, take $200 off for February arrivals, and $100 off for March & April arrivals! Plus, arrive on a Monday or Tuesday and save an additional $100 per airline ticket. That is a total potential savings of $400, if you travel in January and arrive in Gunnison on a Monday or Tuesday. The Gunnison-Crested Butte Regional Airport has multiple daily direct flights from Denver International Airport (DEN), daily flights from Dallas-Fort Worth International Airport (DFW) and weekly Saturday flights from Houston at the George Bush Intercontinental Airport (IAH) and Chicago O’Hare International Airport (ORD). For a full air schedule visit www.skicb.com/airservice and to make reservations and save for this coming winter, call Crested Butte Vacations at 844-993-9547. For more information about Crested Butte’s lodging, conference, meeting facilities, and special packages, call Crested Butte Vacations, 844-993-9545 or visit the web site at www.skicb.com.